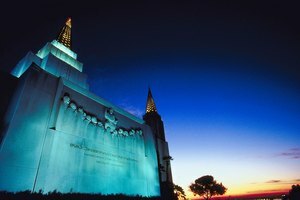 Can a Convicted Felon Be Baptized in the Mormon Church? 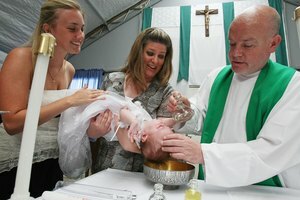 How Is a Baptism Performed in the Presbyterian Church? The Amish are baptized voluntarily as adults. The Amish are an Anabaptist group; they reject infant baptism in favor of an adult baptism. This choice stems from the idea that following Jesus should be a voluntary, adult decision. This differs from denominations like Catholicism in which infants are baptized at the request of their parents. 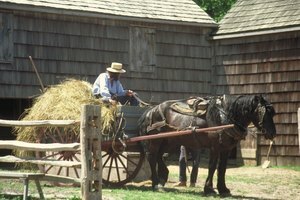 Amish-born scholar John A. Hostelter noted in a paper that sin entered the world with knowledge of good and evil, and since infants do not have this knowledge, they could not have sin. The Amish baptism process has several steps. First, candidates, usually between the ages of 18 and 22, are considered each fall and spring. Those selected attend classes and meet with church leadership for 18 weeks. During this time, they review the founding document of Amish belief, the Dordect Confession and also read their individual church’s Ordnung, or its regulations. 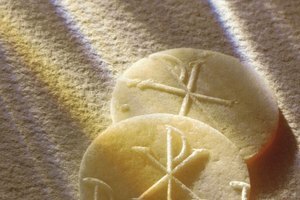 The day before the baptism ceremony, candidates have a final chance to change their mind. The ceremony itself takes place after the regular church sermon. The church deacon asks the candidates to denounce the devil and the world, and to commit to Christ and the church’s Ordnung. Then, the deacon pours water through the bishop’s hands onto the candidate’s head. Then he or she is given a holy kiss by the bishop. Rumspringa, which means “running around” in Pennsylvania Dutch, is a period of time in which Amish youth are permitted to experience freedom; during this time, the young adults are not under control of their parents on the weekends. Not yet baptized, Amish youth also are not under the church’s authority. This practice gives teenagers a chance to experience “worldliness” before becoming members of the Amish church. Some young adults still adhere to traditional behavior during this time, while others wear “English” clothes, go to a movie, buy a car or television and travel outside their local community—some will even go to nightclubs or throw parties. More traditional groups will go hiking, play volleyball, have a picnic or meet for "singings". Some Amish groups do not practice Rumspringa. Once baptized, Amish are expected to practice the Ordnung, German for “order”. The Ordnung, which can differ from church to church, is passed down orally and updated as needed. These regulations are guided by the biblical principle of being separate from the world. Some rules include forbidding the owning of an automobile, attending high school or college, joining the military, getting a divorce and using public electricity. Attire and grooming is also governed; married men are expected to grow a beard and to wear a hat and vest. Women are required to wear a head covering and a plain color, three-piece dress that usually includes an apron. Church discipline is one factor to consider before being baptized into the Amish church. Therefore, understanding the consequences of breaking church regulations is important. 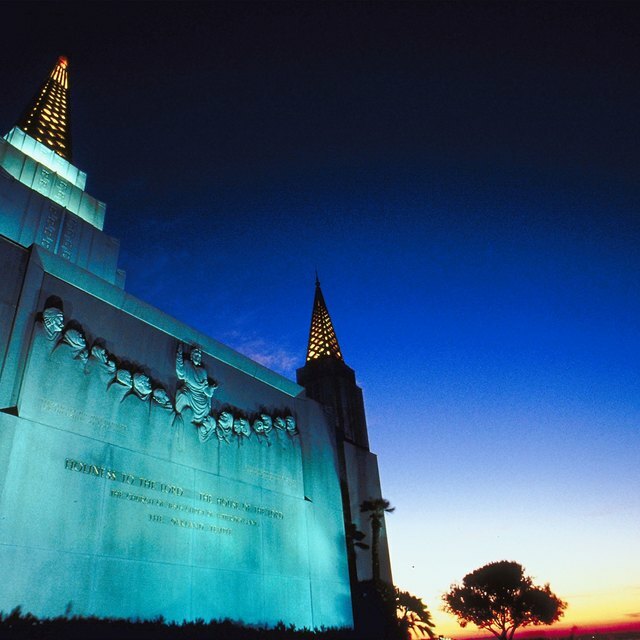 The first time a member refuses to confess a sin, they can be put on a temporary probation. Those who violate a policy or challenge authority are often given an opportunity for reconciliation. In either case, if violations continue, church leaders can vote to excommunicate a member. If the member is shunned as a result; members cannot receive rides or goods from the excommunicated person, or even have a meal with her. Sometimes shunning can lead to estrangement from family and friends. Since 2000 Donna T. Beerman has contributed to newspapers and magazines. Her expertise includes higher education, marketing and social media, and her presentations and writing have won industry awards. She has an MFA in creative writing, is the integrated marketing manager at a Pennsylvania college and founded "Hippocampus Magazine." How Often Do the Amish Do Communion? T., Donna. "Amish & Baptism." Synonym, https://classroom.synonym.com/amish-baptism-12084870.html. 29 September 2017.